It's for deployment and configuration automation. It streamlined our deployments and system configurations across the board rather than have us use multiple configurations or tools, basically a one stop shop. You set it and forget it. You don't have to worry about the reliability or the deviations from any of the other configurations. Its versatility is the most valuable feature. It's not necessarily the end all or be all solution for configuration management, deployment, etc. However, for what we use it for, it fits right in and it doesn't bloat our infrastructure (or any of our instances) that we deployed to. The compatibility with the different platforms that we are using needs improvement. We are mainly a Linux shop, but for a lot of ancillary Windows services that we were bringing in from vendors of third-party customers and things that we are using for the supply chain that we were running, Chef did not necessarily fit across the board for what we are doing there. In-house, the product has been pretty functional for us. I would like them to add database specific items, configuration items, and migration tools. Not necessarily on the builder side or the actual setup of the system, but more of a migration package for your different database sets, such as MongoDB, your extenders, etc. I want to see how that would function with a transition out to AWS for Aurora services and any of the RDBMS packages. If there was something that was automated rather than through the package of the database system itself, this might aid us for a lot of DR stuff, resiliency, multi-region, etc. Especially when consolidating from a lot of on-premise stuff to cloud services, this functionality might improve our rate of deployment. We had high uptime for it. We didn't have too many issues with the releases and the versioning that they have beeen putting out. Mostly, everything went smoothly even with major foundational changes. Overall, anytime you're doing a foundational change, there will be some growing pains, and you expect that with any tool set. Scalability is decent. Our environment has over 3200 nodes for production and lower environments. We haven't had too many problems with load or scale. When we did have issues, there were always additional resources we could deploy to scale wide or horizontally. We could also up the instant size depending on what the machines were doing. We did use technical support, but not on a regular basis. We use our contact there, our account manager, who is always readily available, if not over the phone, by email. We either open up a ticket with them or contact them directly, and they go ahead and research the issue, then get back to us with their findings. The integration and configuration of the product in our AWS environment was functional at the time. I didn't get to do the migration after the production environment. However, everything up until then, we had handled in our lower environments. It seemed to work as described and within the confines of what we were dealing with, and it was functional for us. I just never got to work with it in the production realm. I have seen the ROI, but it was brief. It cut down on our workload. We supported 36 to 38 development teams with a team of six DevOps engineers. We had embedded DevOps personnel within their teams. It could have gotten to the point where we needed individual DevOps personnel for every team, but Chef allowed us, as a group of five, depending on the time we were there, to reach out to them individually, and help them on a one-to-one basis. At the same time, we provide a center of excellence for best practices. This easily could've scaled to each team needing their own direct support person, but with the ability to manage these configurations through Chef, it allowed us to hand them their best practices straight across the board. Therefore, we didn't have to go ahead and drop in on each team and help them through their migration practice. We also looked at Puppet, Ansible, and Jenkins. Chef rolled things into one for us with the way that they were running their deployments. It was more of a one stop convenience going with Chef. A lot of the features, plugins, and compatibility items that we were looking for were already bundled into the package. Rather than piecemeal things together with the other services, we directly went with Chef to make sure it was a smooth, functional package for us. We went with Chef and its suite of tools to manage things more centrally. Make sure when you are tooling that what you are trying to create is functional within the product. Don't try and make it do something that it's not technically, nor architecturally, designed to do. While there are corner cases for things like that, if you're going to start to wander down that road, maybe you better take another look at a wider set of tools rather than just the one that you've got your eye on or the one your executives have their eyes on. The product is functional. The ease of setup for almost everything that we did tooling-wise was straightforward. We didn't have too many issues which were out of the ordinary, corner case scenarios when using the product. That's always a bonus. Especially in ease of the installation and configuration, it is always a good thing when you're dealing with a product like this. It integrates with softer packages, modern packages, alerting packages, etc. Aside from the base infrastructure, there are a lot of Chef tooling and plugins which make it a rather straightforward addition to the tool set. Almost everything was off-the-shelf or out-of-the-box. We did not have to configure or rewrite it ourselves, which was a big bonus. Most of these products are usually commercialized and available with ready support and tooling. We use it for integration management. The agent on the server sometimes acts finicky. It is stable most of the time. There hasn't been any downtime. We did not go with the traditional architecture, so we decided to use the AWS systems by decoupling the traditional architecture. The scalability of the product is quite nice. We have deployed it across six to seven organizations. The integration and configuration in our AWS environment is very good. It works well with most operation management systems, and where it doesn't, we upgrade the system. We tried Ansible and Jenkins. However, because we use Terraform in our products, these weren't the most fitting solutions. Chef was the best solution for helping us build our infrastructure. Find use cases and do your research. We use it for training. All the Chef enthusiasts who come to us to learn and train, improve their skillsets to get jobs. It's a really easy product in AWS. It's easy to teach and easy to understand. The most valuable feature is the language that it uses: Ruby. Regarding integration and configuration of the product, they're pretty manageable. The layers are really easy to configure. I would like to see more security features for Chef and more automation. It's working great. It's stable. We try to produce real-world scenarios with the students as much as possible. It's a really easy product in AWS. It's easy to teach and easy to understand. We considered Puppet and Ansible. We went with Chef because Chef uses Ruby and Ruby is pretty popular right now. Compare it to the other services that you use. Our primary use case of this solution is for the orchestration of the service deployment, and integrations. Earlier, we had it on-prem but now it's totally on AWS cloud. AWS cloud is easier to use, and changing and refitting the architecture solutions is very easy. This solution has improved my organization in the way that deployment has become very quick and orchestration is easy. If we have thousands of servers we can easily deploy in a small amount of time. We can deploy the applications or any kind of announcements in much less time. We started using the AWS services, for example, Opsware. Whatever recipes we have written in SAP, we can use the same recipe in Opsware. Moving from one to the other is almost no work. The most valuable features for us would be the writing of the recipes. Any business can write the recipe based on their deployment, it's not like we have to follow a specific path. AWS Marketplace gives you a sense of authentic products. Since AWS does its own checks on the marketplace products it's kind of a sense of relief that something will not be problematic. I would rate this solution a nine because our use case and whatever we need is there. Ten out of ten is perfect. We have to go to IOD and stuff so they should consider things like this to make it a ten. It's quite stable, we hardly see surprises. Its deployment is very smooth. We have many applications and each one has its own cluster of the servers. We have more than a hundred servers and a couple of clusters which is a big environment. We use SAP and they help us. If we need technical support we raise an AWS ticket and someone from the technical support team helps us. If we hit a roadblock we have to go out beyond AWS support which is fine. The reason that we chose this solution is because it's more effective and it gives us the ability to do the customization that we would like to do. It's also more versatile in the way that we can deploy using this tool, not only on Cloud but at the same time on-prem as well. It's more powerful. We see ROI from saving a lot of time and that our deliveries are now on time. Also, we save the amount of time we take to deploy and make any changes in the deployment and in expediting service. The amount of time invested there is less which in turn we can invest in some other work. So our ROI is speed. I would rate this solution a nine because it's simple, easy to use, more versatile, and most importantly, it can handle the hundred thousand servers at the same time very easily and almost in no time. It is for orchestrating our servers and deployments to do integrations. Deployment has become quick and orchestration is now easy. If you have thousand of servers, you can easily deploy them in a minimum amount of time. You can deploy applications or any type of announcements in a reduced amount of time. Writing recipes, which is great. Any business can write a recipe based on their deployment. We do not have to follow a path. It is simple, easy to use, and versatile. The most important thing is it can handle a 100,000 servers at the same time easily with no time constraints. The product is quite stable. We hardly experience any surprises. Its deployment is very smooth. We have many applications and each is having its own cluster of the service. We have more than a 100 servers and a couple of clusters. That is a big environment. If we need help, we raise an AWS ticket. Then, the AWS support helps us with the technical support. The integration and configuration of this product in our AWS environment was simple. We are saving a lot our delivery time and on te amount of the time that we deploy. We used to make changes during the deployment. So, the amount of time invested there is less, which in turn, we can invest in some other work. Therefore, our ROI is quick, though it does depend on the size of your service. Purchasing through the AWS Marketplace was a good place to go to purchase this product because you receive a sense of authenticity with the products. Since AWS has its own checks on AWS Marketplace products, there is sense of relief that the product will not be problematic. We looked at other product like Puppet. We are also using Ansible. However, Chef is the market leader, so we went with that. Chef is more effective. It provides the hooks, so we can do customization. The product is more versatile. For example, we can deploy using this tool, not only with cloud, but simultaneously on-premise. So, it is quite powerful. If someone would like to go for a heavy cluster, this is a product they can trust for deployment, since it is smooth. Even though customization is needed, they can create their own custom recipe, which in other products, I would say is partially there and also depends on the different type of applications. We use it for provisioning Adobe Experience Manager web application environments. It has given us more resiliency in all the stuff we now manage with Chef, which was previously sort of manually maintained. Now, we are able to drive all of that through version control and automation, which is a lot faster. It has been very easy to tie it into our build and deploy automation for production release work, etc. All the Chef pieces more or less run themselves. There is a slight barrier to entry if you are used to using Ansible, since it is Ruby-based. However, it is just a different product and requires you to acclimate yourself, just like any other product would. The scalability works. We haven't scaled it too high. We have a few different servers in different places. We have been looking into the high availability offering, but we haven't actually stood it up yet. We are hopeful about it though. We have had to open a few Amazon support tickets. However, they have typically not been Chef-related, they have been Amazon service-related. The technical support has been great. Our tickets have all been closed out quickly. Our environments used to be on-premise, then we were moving them into the cloud. Since they were big and complicated, we decided we needed a manageable provisioning system instead of doing it by hand every time. We have seen ROI. It has decreased a lot of man-hours that we were previously spending doing stuff which we now manage with Chef. It has decreased when we have a production issue, since we are able to fix it faster. We also have had less production issues since using Chef to automate our provisioning. I wasn't involved in the purchasing, but I am pretty sure that we are happy with the current pricing and licensing since it never comes up. We considered Chef, Puppet, Ansible, and homegrown solutions. We had a couple people who used to use Ansible and some people who had previously used Chef. I think we just settled on Chef after trying it because we liked that it was Ruby-based, and there were a lot of community cookbooks already. This lined up parallel with what we wanted to be doing. I would recommend Chef. It is very user-friendly. There are a lot of community resources which make it easy to onboard. It also plays nicely with existing automation tools and other things which you are probably already using. Chef works with Adobe Experience Manager, Terraform, and AWS CLI tools. We have been pleased with the integration. We use it for deployment of applications. It is a tool that you can use on the back-end for deploying architectures. I have used the product for a couple years. I used to work for an online data center, and we used Chef for a lot of the tools and appointments. When you are running a large cluster with hybrid applications, it can be very instrumental in making sure that they are running in sync. The tools it offers for running in environments has made it a good solution to use. We put quite a lot of stress on it, especially in our larger environments. The scalability is good. I have used it for several environments, from small (a couple of servers) to large clusters more than 50 servers). We have seen a lot of ROI. Our customers really enjoy the tool. We are able to save in development time, deployment time, and it makes it easier to manage the environments. Purchasing the solution from AWS Marketplace was a good experience. AWS's pricing is pretty in line with the product's regular pricing. Though instance-wise, AWS is not the cheapest in the market. The AWS platform is solid. With the technologies that they offer, it makes it easy to integrate. When you are building environments and your able to integrate everything together, this is good thing. We looked at a combination of open source and other paid solutions. It was hard because Chef offered many options that others didn't, so it wasn't a one-to-one comparison. Chef had better functionality, flexibility, and price. It is a clean product that is easy to work with and our customers like the product. It works well. I would highly recommend it. It is a well thought out product which integrates well with what developers and customers are looking for. The product works well with VMware environments. I have used in my current company for three years, and with other clients for more than ten years. My clients are happy, which is the most important thing. The most valuable feature is automation. The AWS monitoring, AWS X-Ray, and some other features could be improved. We have some issues in Brazilian region with stability. However, in US region, we have no issues with stability. Scalability is pretty good. We have nothing to complain about, except the price. I would rate the technical support as a ten out of ten. Amazon is a great partner. The integration and configuration are pretty good in the AWS environment. The problems are usually on our side, not on AWS' side. The price is always a problem. It is high. There is room for improvement. I do like purchasing on the AWS Marketplace, but I would like the ability to negotiate and have some flexibility in the pricing on it. I don't like some of the products offered by VMware. I like the automation offered by Chef and Puppet. We chose Chef because some clients have some legacy systems and decided to work with them. We don't really like work with VMs, but when we have to, we use Puppet. I have used the on-premise and AWS versions. I prefer the AWS for troubleshooting. Its recipes are easy to write and move across different servers and environments. However, they need to provide better functionalities when creating recipes. Our primary use case is having the properties set up across the servers. 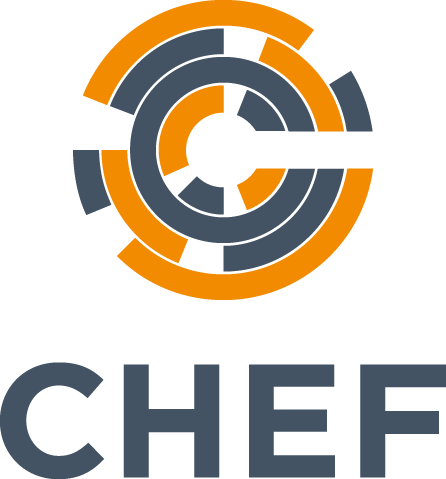 We have Chef recipes deployed and configured across our servers, so we get the same type of replication across our servers and environments. We are using the on-premise version. We have our applications already set up for on-premise. We are using Chef and preparing it for CI/CD and other properties. Now, we are planning ahead and will use the AWS service too. Earlier, we used to do everything manually, such as configuring the servers across different environments. Using Chef and Puppet, we can automate our CI/CD process with reduced effort from our DevOps team. Chef recipes are easy to write and move across different servers and environments. They could provide more features, so the recipes could be developed in a simpler and faster way. There is still a lot of room for improvement, providing better functionalities when creating recipes. We would also like more recipes. This is key for us. We do put a lot of stress on it from the QA, staging, and servers. We have a CI/CD pipeline continuously running as the developer commits the code to Chef and Puppet, which are always up and running. The scalability is working well for our organization. As a developer, I don't use the technical support. We are still in the process of evaluating Chef Compute. Currently, we use Chef and Puppet. Soon, we will probably be purchasing it from AWS Marketplace. We were already using Chef and Puppet for most of our DevOps. These were our only choices. I would definitely recommend using Chef. Chef integrates and configures well with AWS and other products. We use Chef and Puppet together. We are also using Splunk for log traces. We just started using Chef with AWS for easy to use containers. AWS is great for storage, CloudFormation, and CloudFrond CDN.